I receive this email from a friend and Malaysian,this miracle tree that has all the extracts to cure cancer is in almost everyone’s backyard. This tree can grow almost anywhere in malaysia, in hokkien we call it “AngMo Durian” which most of us just ignore or dislike it’s sour taste. It’s about time you plant this tree if you have a small garden. This time let me pass some very useful and informative Health related subject…read it carefully and if you believe it is good ,pass to your friends. 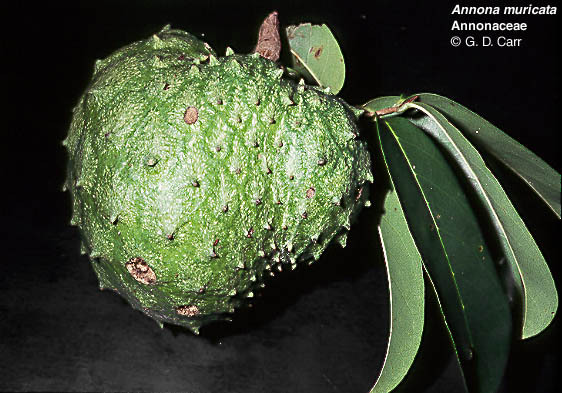 Natural Cancer KILLER – 10,000 times stronger than Chemo and more….. How many people died in vain while this billion-dollar drug maker concealed the secret of the miraculous Graviola tree? If there ever was a single example that makes it dramatically clear why the existence of Health Sciences Institute is so vital to Americans like you, it’s the incredible story behind the Graviola tree. Effectively target and kill malignant cells in 12 types of cancer, including colon, breast, prostate, lung and pancreatic cancer. The tree compounds proved to be up to 10,000 times stronger in slowing the growth of cancer cells than Adriamycin, a commonly used chemotherapeutic drug! What’s more, unlike chemotherapy, the compound extracted from the Graviola tree selectively hunts down and kills only cancer cells. It does not harm healthy cells! The amazing anti-cancer properties of the Graviola tree have been extensively researched–so why haven’t you heard anything about it? If Graviola extract is as half as promising as it appears to be–why doesn’t every single oncologist at every major hospital insist on using it on all his or her patients? The spine-chilling answer illustrates just how easily our health–and for many, our very lives(!) --are controlled by money and power. Graviola–the plant that worked too well One of America ‘s biggest billion-dollar drug makers began a search for a cancer cure and their research centered on Graviola, a legendary healing tree from the Amazon Rainforest. Various parts of the Graviola tree–including the bark, leaves, roots, fruit and fruit-seeds–have been used for centuries by medicine men and native Indians in South America to treat heart disease, asthma, liver problems and arthritis. Going on very little documented scientific evidence, the company poured money and resources into testing the tree’s anti-cancerous properties–and were shocked by the results. Graviola proved itself to be a cancer-killing dynamo. But that’s where the Graviola story nearly ended. The company had one huge problem with the Graviola tree–it’s completely natural, and so, under federal law, not patentable. There’s no way to make serious profits from it. It turns out the drug company invested nearly seven years trying to synthesize two of the Graviola tree’s most powerful anti-cancer ingredients. If they could isolate and produce man-made clones of what makes the Graviola so potent, they’d be able to patent it and make their money back. Alas, they hit a brick wall. The original simply could not be replicated. There was no way the company could protect its profits–or even make back the millions it poured into research. As the dream of huge profits evaporated, their testing on Graviola came to a screeching halt. Even worse, the company shelved the entire project and chose not to publish the findings of its research! A study at Purdue University recently found that leaves from the Graviola tree killed cancer cells among six human cell lines and were especially effective against prostate, pancreatic and lung cancers… Seven years of silence broken–it’s finally here! A limited supply of Graviola extract, grown and harvested by indigenous people in Brazil , is finally available in America . The full Graviola story–including where you can get it and how to use it–is included in Beyond Chemotherapy: New Cancer Killers, Safe as Mother’s Milk, a Health Sciences Institute FREE special bonus report on natural substances that will effectively revolutionize the fight against cancer. This crucial report (along with five more FREE reports) is yours ABSOLUTELY FREE with a new membership to the Health Sciences Institute. It’s just one example of how absolutely vital each report from the Institute can be to your life and those of your loved ones. From breakthrough cancer and heart research and revolutionary Amazon Rainforest herbology to world-leading anti-aging research and nutritional medicine, every monthly Health Sciences Institute Member’s Alert puts in your hands today cures the rest of America –including your own doctor(! )–is likely to find out only ten years from now. You need the Health Sciences Institute in your life because you and your loved ones deserve to know–and you deserve to know it NOW. A friend send me this article and I just want to share with you. This is a very good article. 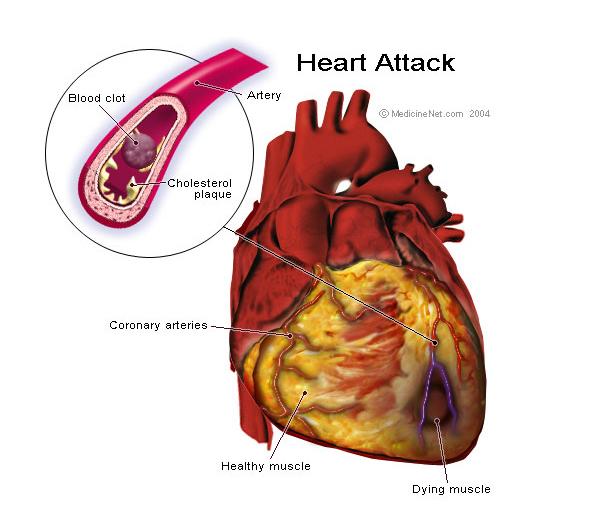 Not only about the warm water after your meal, but about Heart Attacks . The Chinese and Japanese drink hot tea with their meals, not cold water, maybe it is time we adopt their drinking habit while eating. For those who like to drink cold water, this article is applicable to you. It is nice to have a cup of cold drink after a meal. However, the cold water will solidify the oily stuff that you have just consumed. It will slow down the digestion. Once this ‘sludge’ reacts with the acid, it will break down and be absorbed by the intestine faster than the solid food. It will line the intestine. Very soon, this will turn into fats and lead to cancer. It is best to drink hot soup or warm water after a meal. 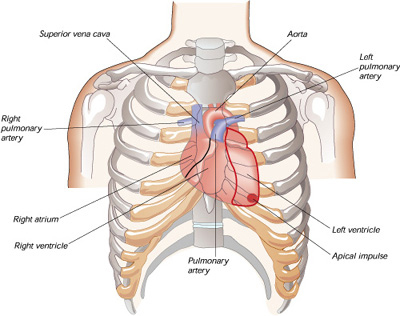 A serious note about heart attacks – You should know that not every heart attack symptom is going to be the left arm hurting . Be aware of intense pain in the jaw line . A cardiologist says if everyone who reads this message sends it to 10 people, you can be sure that we’ll save at least one life. Read this & Send this link to a friend. It could save a life. So, please be a true friend and send this article to all your friends you care about. I brought my son’s friends over the Thai border for some exquisite dinner in the jungle just by the lakeside. Earlier I have wrote about it, the food is really good there and it’s cheap comparatively – The water view restaurant. The restaurant’s business is really good, no more coconut water, no more oysters… Aarrhhhh.. Sold out. We ordered those regulars, – kheng som fish, some fried fish, mango “krabu”, the ulam vege, even the ordinary fried egg is delicious and the curry crab. These are the normal Thai dishes where most of the customers would order. Guess who are the friends? Gym & Yise from Astro AEC E-news Channel 301and some camera crews. Hey I always thought camera crews are man but this whole team of them is all girls. There are shooting for the coming Chinese new year e-news on Danell Lee visiting his home town and his old childhood home. Again, me & my wife became “free & part-time” actor and actress… hahaha. So this year, we will be on 2 shows – 8TV and Astro for this coming Chinese new year. Well, after dinner, they decided to walk around at the border town of “Danok” to do some shopping and I came across an elephant. These elephants are actually “beggars” or shall I say the victim of a “beggars” syndicate. Infact there was some debate of these animals begging in the city but I guess you can’t blame them. You know these elephants are logging elephants but since the government has banned logging in the country, how are they to survive without work. Who is going to feed them? So they turn to tourism to support the owners of this faithful creature. Since they are using the same road and the cars, they must follow our society rules so you can see they have a tail light hanging on its tail so that you can see them at night. I think there must have been some previous incidence of cars knocking onto an elephant. Cars give out carbon monoxide while the elephants give out their “dungs” and it’s not just one scoop but when it gives out, its several kilos of it. Yup, that is the one problem with these animals in the street, the whole city or town will be filled with this “dungs” and now they have some regulations. The owner has to take care of them every time those dungs drop; they have to scoop it up. And while waiting for them, I came across a small tricycle paddler selling something… curiously I walked over and this is what I saw. “Pest” for food. – Caterpillars, grass-hoppers, ants, beetles and bugs. If you are a “drinker” this is the best tidbits to go along. and these are giant termites. And they are not cheap, one small bowl of a few grams cost RM2.00. If you want a closer look, click on the picture to get a bigger and closer view of it. but when I reach home and magnify the pictures…. nope… they are not bugs or lice.. but big ants mmm looks like the body of queen termites and worker ants. and here is GYM (from Astro AEC 301) playing with my 2 grandsons during dinner. We return back to Malaysia again.. and continue with the shooting and this one is for the album after a good take..